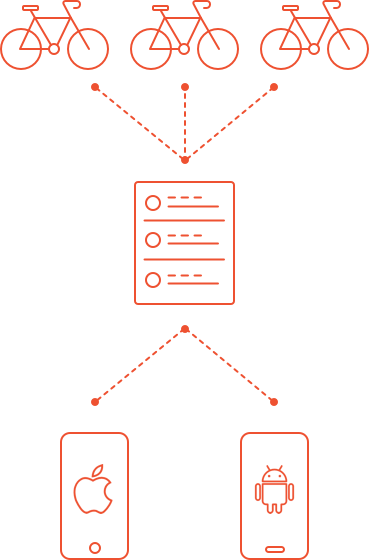 Flatstack - GOBIKE is a bike sharing / rental app. 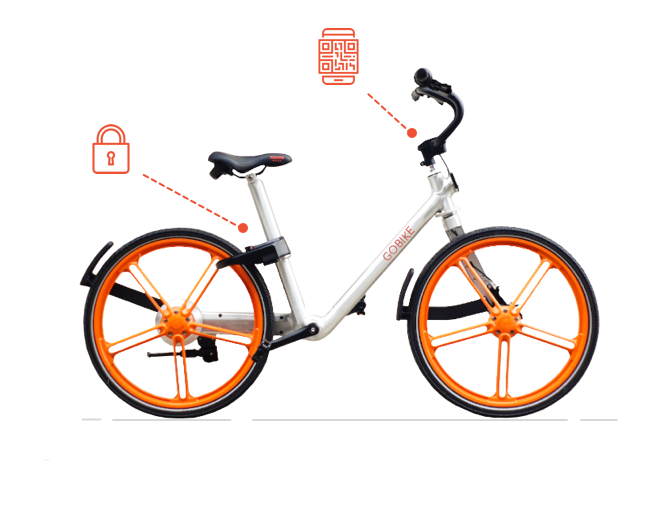 A bike is equipped with GPS / SIM-card powered locks & solar panels. 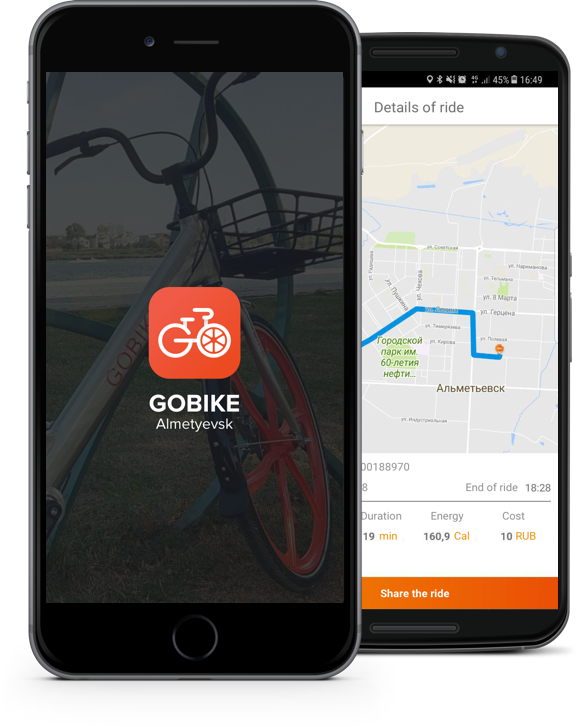 GOBIKE is a bike sharing / rental for any city. During the work we were riding bikes ourselves to understand clearly how everything should work from the customer's side. 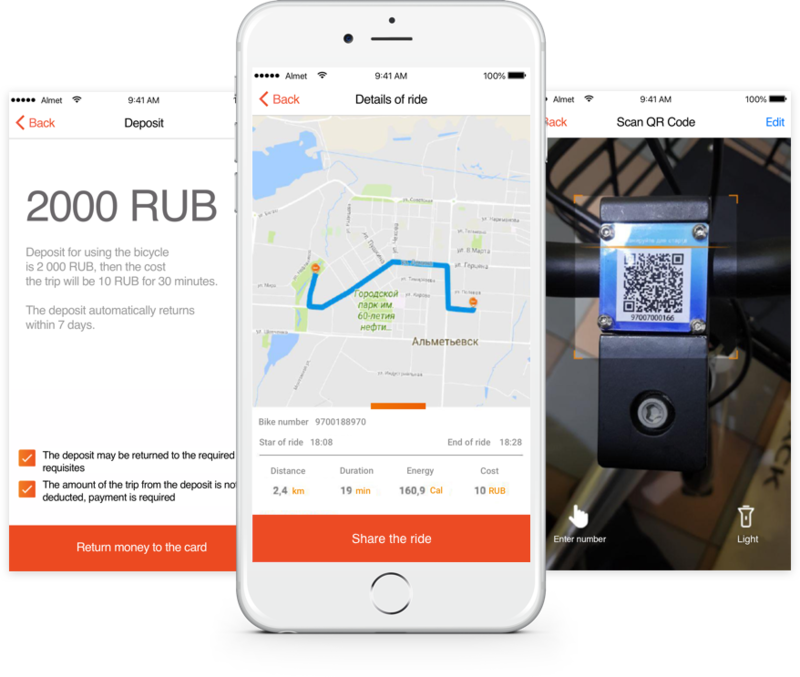 Our mission in the project was not only in reliable technical realization, but also in creating a popular solution that will boost the development of public bike rental. 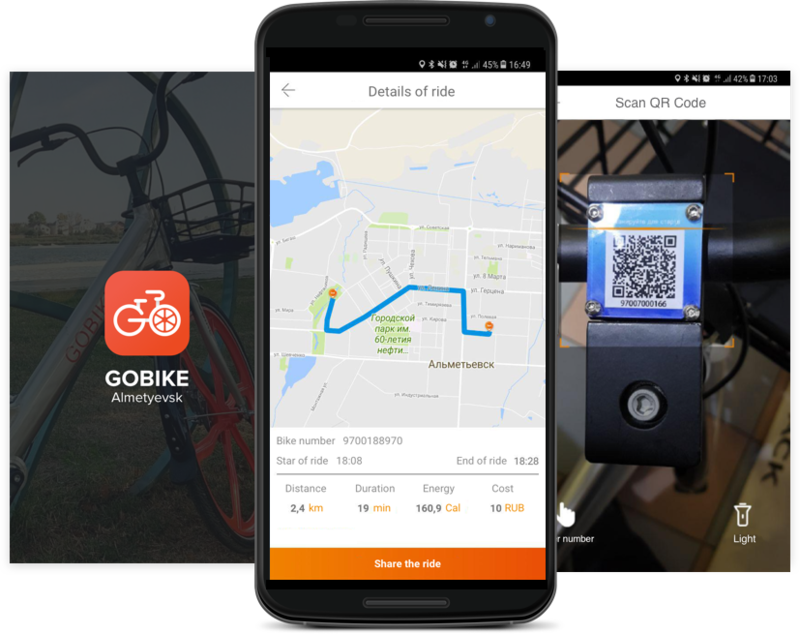 Gobike uses "Smart Bike" lock which can be locked and re-opened in any place using on iOS and Android Apps. Sign in via Twillio phone verification, pay the deposit. Unlock the bike using the App. And wait for the lock to unlock. The bike is ready for the ride! Pull the lever on the lock to complete your ride. The bike will be locked and you will be able to park it afterwards. There is no need to sign a contract or pay in cash. The amount will be automatically withdrawn from the account every 30 minutes during the ride.